I got into a phase where I was all about white dials & blued hands. The Stowa MO roman was the first pickup there, but every time I saw the Omega AT with that configuration, I smiled. Eventually I found one, and it's been in my clutches ever since! 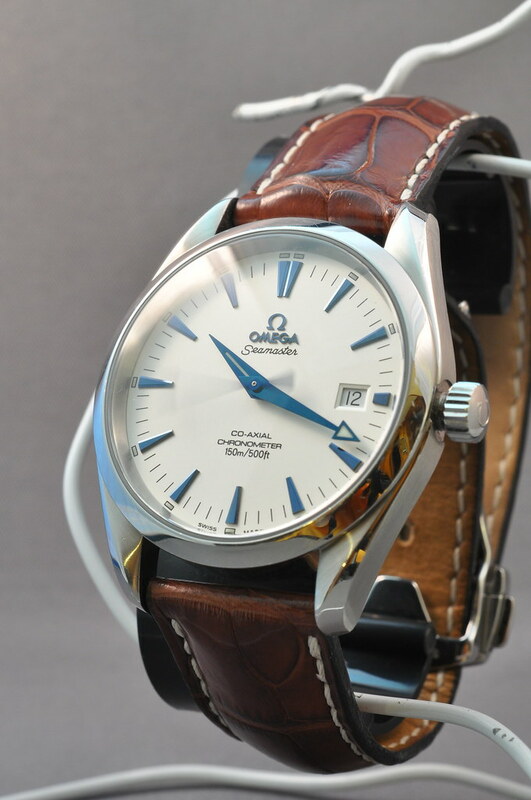 It first came to me with the pictured Omega leather strap & deployant buckle, later on I added the bracelet as well.